Catching Up with Margarita Mile Partner and Dallas Landmark Desperados. 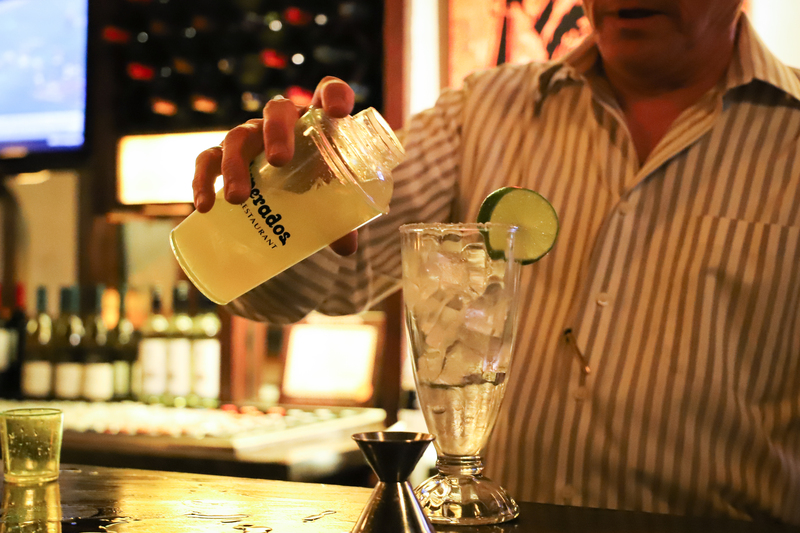 Desperados is a Dallas classic steeped with history and family tradition. In 1976, the Levy family opened the doors to the now historic Greenville Avenue location. Today the restaurant is still owned and operated by the family and honors their grandmother's recipes while continually innovating and churning out some of the best Tex-Mex in the city. Who from the family is involved in Desperados? It truly is all in the family. My father [Jorge] started the business with other partners, and now my brother, Michael, manages our Campbell Road location, while I [Jake] manage the Greenville Avenue location. How did the restaurant get started? My father wasn't really looking to get into the restaurant business, but it was almost like the restaurant business came looking for him. Jorge was working as a manager at another Mexican restaurant on Greenville Avenue when he was approached by two customers to partner with them just down the street and the rest is history! Looking back over the years, what makes you most proud about Desperados? Family is what makes us most proud. Working with each other every day and experiencing the good and not so good times with your family is fantastic. The people we work with are just like our family. Some of our employees have been with us for more than 40 years and others 10 or 20, and they have become members of our family. And the amazing guests we have. We know so much about our guests and have shared so many of our life experiences that we feel like part of the family. When you are not at the restaurant, what do you like to do in Dallas? We love to eat! A few of our favorite restaurants are Campisi's, Terilli's, Sevy's, and Celebration (Jorge really loves Celebration). In the fall we love going to the State Fair of Texas, and actually had a food booth there for 13 years. We are also big sports fans and we have so much fun going to see the Cowboys, Mavericks, Rangers and Stars. And since we have been caterers to them, it makes it even more exciting to take in a game! When we want to take it easy, it is nice to be out at White Rock Lake. 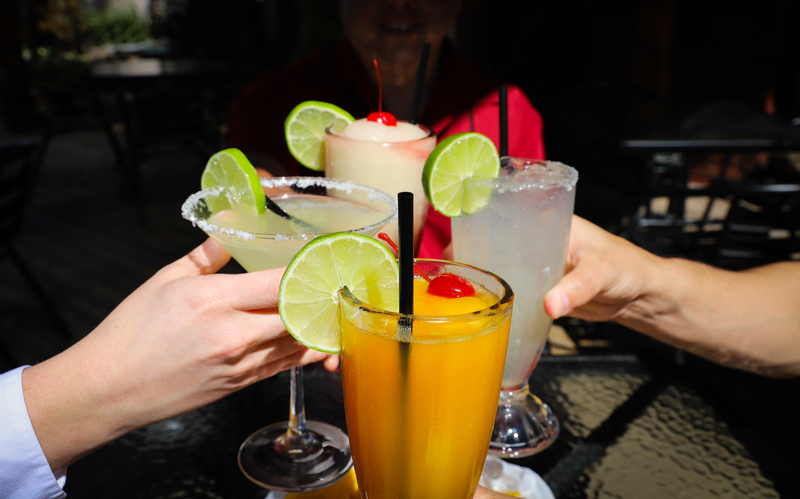 If someone was coming to Desperados for the first time, what should they order? 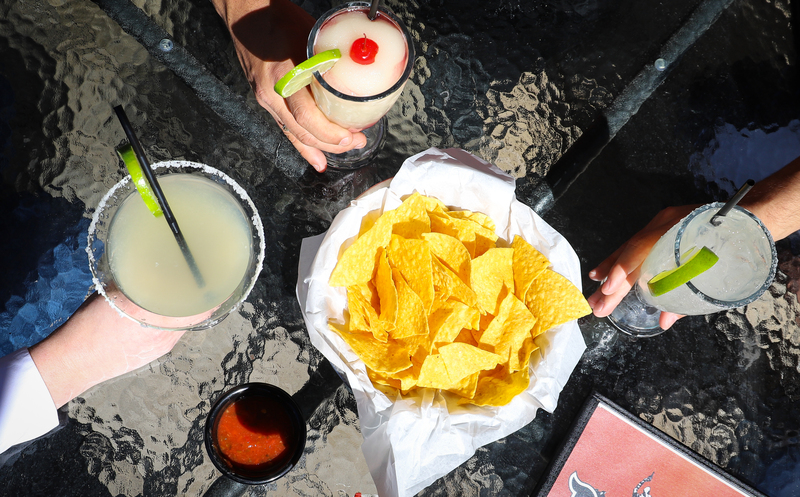 Definitely start with the La Margarita, our five-time Best Margarita in Dallas award winner and our 'rita on the Margarita Mile. We would then point you toward our guacamole, another one of Mama's originals. For dessert, if you can make it that far, go simple with our homemade Sopapillas. After being in business for 43 years, I am sure there are some cool stories. Any favorites? There is just so much, where do we begin? Some of my favorites include the time we catered for the Dallas Mavericks right after their World Championship Parade, the time we took our Desperados Tacos to Florida for the Coconut Grove Arts Festival, the time when we were asked to cater the VIP Superbowl XLV party, or when we won the Deep Fried Food Contest at the State Fair of Texas, and were on the Tonight Show. It was also exciting when Mick Jagger stopped in for dinner. What is one thing you want everyone to know about Desperados? We are a different kind of Mexican restaurant. We are steeped in tradition, honoring my grandmother's recipes but we also love to innovate. Jorge has always pushed the boundaries and it's always delicious. Emily is a Louisiana native that now calls Dallas home. She is always on the hunt for the newest restaurants and loves catching a show in the Dallas Arts District. When she's not out and about you can find her trying new recipes and hanging out with her Poodle and Bernedoodle at home. The son of the Beto & Son duo shares his Dallas favorites. A look at how one invention changed the margarita forever.